NAPHN’s Certified Passive House Designer/Consultant course is the premier training program for Passive House building professionals. Supported by a 25+ year history of global technical leadership by the Passive House Institute, and over 7 years of successful American instruction, from Maine to California, by the Passive House Academy – this course is specifically designed to teach the... I was the Passive House Consultant on Seattle’s first certified Passive House. Read more about how I worked with the architect to achieve this goal on this page . I consulted for Environmental Works on an affordable multifamily Passive House project on Orcas Island, and for Kellogg Architects on an affordable senior housing Passive House project in Phoenix, AZ. Passive House (aka Passivhaus) is a consistently objectively verifiable, cost-effective, predictable way to make a building more comfortable, more durable and healthier, with the side benefit of a huge reduction in total energy use over conventional construction! A Passive House is a building that is constructed with the Passive House methodology and meets the Passive House Standard criteria. A Passive House can be any type of building: an apartment building, a school, an office building, a factory, a supermarket. 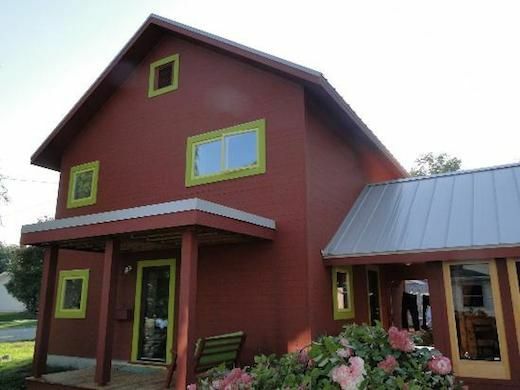 Passive Houses are exceptionally comfortable, healthy and affordable to occupy. The Passive House Institute offers the Certified Passive House Designer / Consultant certificate. There are two ways to acquire this certificate: There are two ways to acquire this certificate: Advanced training through seminars, training courses or private study and eventually passing a written exam.